Krispy Kreme Doughnuts, Inc. is an American doughnut company and coffeehouse chain founded in Winston-Salem, North Carolina. 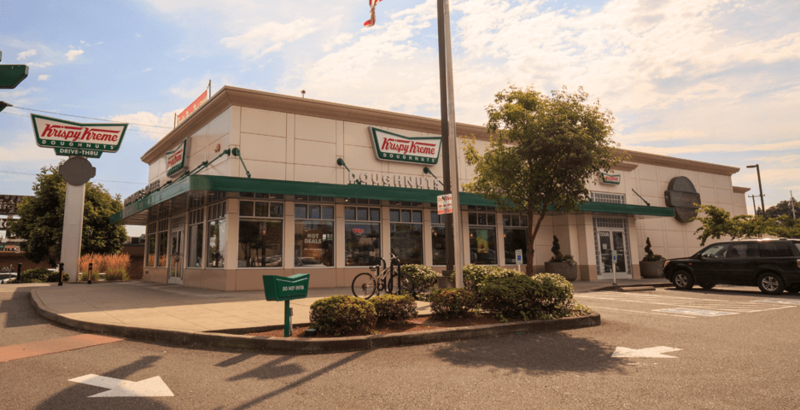 Krispy Kreme founder, Vernon Rudolph, bought a yeast-raised recipe from a New Orleans chef and, in 1937, rented a building in what is now historic Old Salem in Winston-Salem, North Carolina, and began selling to local grocery stores. While selling all types of doughnuts, Krispy Kreme’s signature is a glazed doughnut that is traditionally served warm.